RnB/Hip Hop rising star, Cindy Lorreta Hlubi (28) a.k.a Lorreta, is all set to release her latest single on May 16, promising a banging hit with authentic local flavour. Lorreta is a South African born singer/songwriter, aspiring presenter and entrepreneur. Originally from Sydenham, now based in Pinetown, Lorreta has already achieved major strides in her career so far, having shared the stage with South African music stars with the likes of Nasty C, Babes Wodomo, Zakes Bantwini, Siphokazi and others. 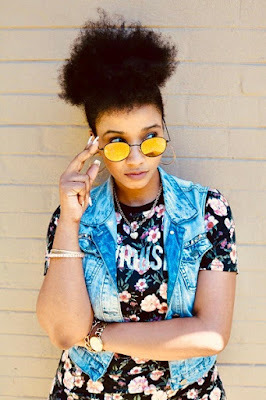 Her latest offering titled Nobody sees her partnering with one of Nigeria’s hottest Reggae/dancehall exports, B’Clean (who is signed to the renowned Nigerian duo P-Squared). She's also collaborated with local Kwaito newcomer, Sgananda Shezi - popularly known for his performances on the hit soapie Uzalo on SABC 1. This club banger will be released on May 16, 2018, and presents a dancehall and afro-beat style whilst honing in on the currently trending Gqom wave, but still remaining true to Lorreta's remarkable RnB/Hip Hop flair in perfect harmony. She is extremely excited about the collaboration with B’Clean and Sgananda: ''To be honest, B'Clean's role on this track was initially intended for Ghana's dancehall Queen 'AKsongstress' and when a trusted talented producer friend of mine by the name of Captain Blu introduced me to B'Clean's music, I immediately knew he was the man to bring it all together. As for Sgananda, his raspy deep voice is one of a kind and I anticipate all the ladies falling in love. "In thought merging dancehall, R&B, Gqom and Kwaito together seemed like a wild idea and at some point even my producer thought I was crazy, but I had a vision and I was determined to pull it off. I soon found out that optimism and focus is contagious because the beat that my producer eventually created is the proof in the pudding, it is fire!'' she added. Lorreta's music video debut, Mood released in February 2017 and has been flighted on TV music programming channels like TraceAfrica, MTV Base and Channel O. She later released On Fleek a trap song that playfully honours the strength and prowess of all women and their confidence in their own skin. Following the success of these releases, Lorreta’s newest release, Nobody, will be available on iTunes, Google Play, Deezer, Spotify, SoundCloud, YouTube from May 16, 2018.